How do Samaritans pronounce the tetragrammaton, י-ה-ו-ה? I came across an interesting article by James A. Montgomery, scholar of Samaritanism, called Notes From the Samaritan Journal of Biblical Literature, Vol. 25, No. 1 (1906) , pp. 49-54. 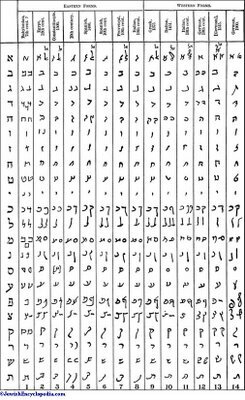 The article concerns a witness to a 19th century Samaritan pronunciation of the tetragrammaton. At the outset, Montgomery mentions that 5th century Church theologian Theodoret preserved in writing a Samaritan pronunciation of the tetragrammaton. It was as follows: Iota-alpha-beta-epsilon (edit: evidently I can't use Greek characters in blogger) or Iota-alpha-beta-alpha-iota (Yabe or Yabai). Of course the usual caveats about transliterating Hebrew into Greek apply (Greek doesn't share the same consonants, so many of them are simply ignored--like the ה in this case-- or transposed into what the transcriber considers to be the closest match). 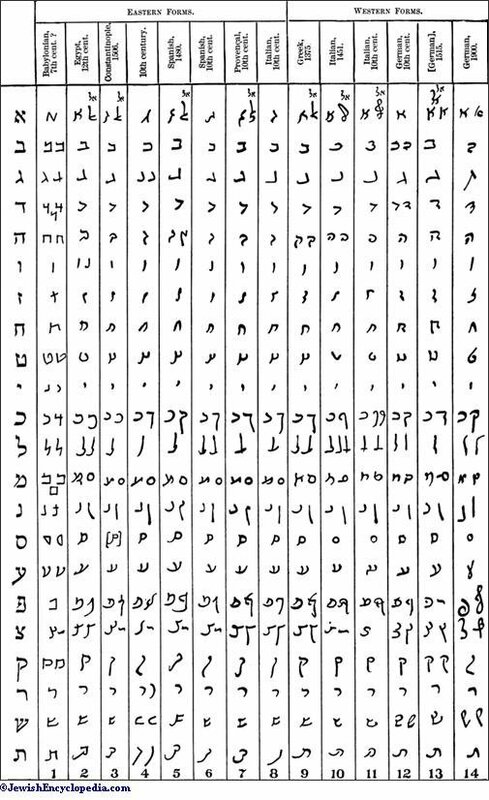 What is interesting is that the ו is written with a beta, which would mean that to Theodoret's ears the ו was pronounced as a consonant and probably like how we pronounced the letter v and not w.
Montgomery then notes that Samaritans actually tended not to pronounce the tetragrammaton at all, like Jews, but rather they substituted the word shema (in the sense of שם, the Name, just as we say השם, Hashem). This fact is readily confirmed by perusing articles on the web site by and about the Samaritans. It seems that in the early 1800s French scholars who were carrying on a correspondence with Samaritans were trying to get them to tell them how the word was pronounced, which they were reluctant to do. 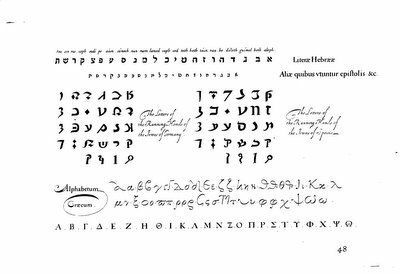 But in a letter to Silvestre de Sacy one of them spilled the secret: he wrote in vocalized Arabic characters something like Ya'-ha'-waw-ha' (again, can't do Arabic, apparently) which is Yahwa or Yahwe in English. De Sacy himself apparently didn't notice the potential signifigance of this--he hadn't been asking anything about the pronunciation. It was later noticed, and compared by scholars with Samaritan rhyming hymns. To one scholar, Emil Kautzsch, these rhymes suggested that the final consonant was Yahwe, rather then Yahwa. (It is interesting to note that Kautzsch cited the rhymes found in R. Wolf Heidenheim's Bibliotheca Samaritana. R. Heidenheim is the one Grade A maskil who is cited as a source in Artscroll's Stone Chumash). Other scholars pointed out that other rhymes favored the other pronunciation, with an a at the end. So no conclusion could be drawn, especially since in the popular Samaritan pronunciation the consonants of the tetragrammaton would be read shema, which means that the rhymes probably were meant for that word. It must further be remembered that the signifigance of a Samaritan pronunciation for any Hebrew word is complicated for a number of reasons. One is that their Hebrew pronunciation was also affected by the ravages of time, movement and the influence of Arabic. Secondly, we know that the Samaritan Hebrew is defective in many respects. 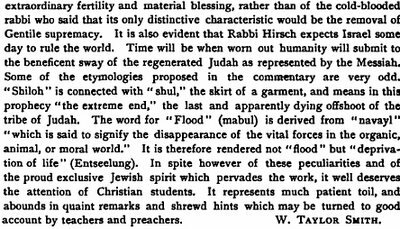 They lost the guttural letters far earlier than other Jews, for example. Third, it is still unclear how ancient the pronunciation of the tetragrammaton is. As noted, Samaritans don't really say it. 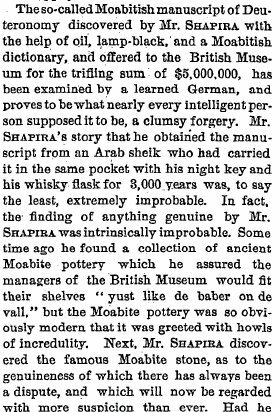 Did this one incidental witness preserve an actual ancient pronunciation? Who knows? I have to tell you a Samaritan folk tale on an argument between a Samaritan sage, my grandfater's father, Abraham Tsedaka [1852-1928] and a Moslem sage, The moslem said that the Islam is the right religion but Abraham Tsedaka has dared to say that the Israelite religion is the origional and true one and the Islam religion is a false one. How dare you say that? screamed the Moslem. Abraham Tsedaka said that he is going to prove his words. He said: you know the last words of the moslem before he is passing away are to admit the unity of God by saying "La Illah Illa Alla"=No God but God - four words. The Israelite says the same but in his words: "Shema Eluwwinu Shema A'aad"= Our God one God - four words. Yes, I know that, said the Moslem, so what? Oh, let me tell you by that, said Abraham Tsedaka to the Moslem sage: If the Moslem soul is passing away before he expressed only one word "No", so it is negetive, and if he has expressed only two words " No God" it means that there is no God = heresy, and if he expressed only three words "No God But", nobody will know but whom, and it is also heresy. only if his soul will pass away after he has expressed the whole four words he will admit the unity of God. At the same case each word the four words of the israelites has its significance for the unity of God - said Abraham Tsedaka - If the dying person has expressed only the first word: Shema, he has identified already the divinity, and if he has said only two words: Our God, it has a meaning. If he has said three words: Our God One, it is leading to the unity of God. He does not have to say the whole words to express it. It is only a tale but saying much on the Samaritan acceptability of the unity of God of Israel. Let me quote from the Samaritan Israelites' prayer, any prayer: "The glory is yours forever, Yoot-Eay-Baa-Eay, Shema, merciful and gracious....."
*Not a typo. 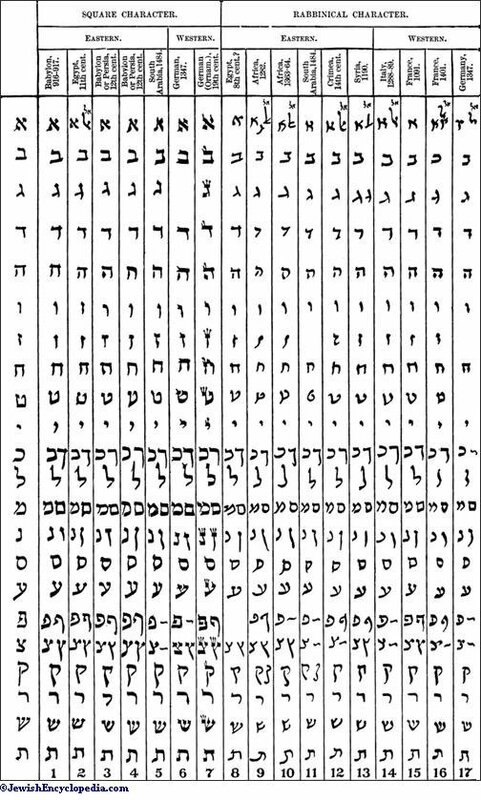 The Samaritan Torah consistently spells בנימים for בנימין. Is there a remnant of paleo-Hebrew on the head tefillin? 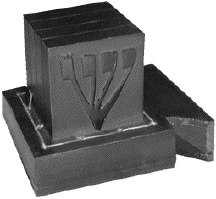 Just why is there a shin, ש with three heads and a shin, ש with four heads on the tefillin shel rosh? No doubt there is more to this thought, and I'd like to know exactly what Elman said. But this is a quite interesting idea that should be further explored. >I suggested that one possibility is that it represents the Old Hebrew shin that looks like a double-u. According to Mar Zutra or Mar Ukva (in Sanhedrin 21b-22a), this was the kesav the Torah was given in. if this is so, I suggested that this represented Torah shebikhtav, while kesav Ashuri, brought in by Ezra ha-Sofer, represents Torah shebe'al Peh, all according to the shittah of R. Tzadok Hakohen of Lublin (for exaple in Resisei Laylah on Hanuka). Putting on tefillin represents the joining of the two Toros. I'm glad to accurately present his very interesting idea. Amazon has an interesting feature called purchase circles, which lists the top selling books from Amazon based on geographical area. 3. Rich Dad, Poor Dad: What the Rich Teach Their Kids About Money--That the Poor and Middle Class Do Not! Obviously it is impossible to interpret this data in any meaningful way. A lot of people in Lakewood don't use the internet, and no one is going to tell me that people in Lakewood don't buy a lot of kosher cookbooks. Far Rockaway also has a large African-American population, which I should think accounts for the best selling status of a Joel Osteen book more so than its Orthodox Jewish population. Midwood, Boro Park and some other communities are lucky enough to be subsumed under "Brooklyn" in Amazon's purchase circle, so no relevent stats to show. All in all--interesting data points. To get the name Suri, you actually have to subscribe to Kabbalah, a very distant offshoot of Judaism. Suri would really be Sarah, except Kabbalah — as it is now taught to celebrities — is all about taking letters and making new words out of them. ... Suri is derived from Sarah mathematically. The article does note that Suri as a nickname for Sarah, though "all but unknown in Israel," is still attested. For instance, there's Jerusalem journalist Surie Ackerman, whose given name is "a formalized version of a nickname given by fellow ultra-Orthodox Jews in her native United States." But LL doesn't seem to give a lot of prominence to this point. But that is the point. God only knows how the Cruise-Holmes people came across the particular form Suri, and came to understand it to be Hebrew (Hebrische, Judische, its all the same). But of course Suri is Sarah! Take a chassidishe accent which turns a komatz into a shuruk and Sarah (or Sorah) becomes Surah. Add a cutesy "i" to the end (Shmuely, Johnny) and presto, you've got Suri, Hebrew Jewish for "princess." According to the AP English is about to get its billionth word. What's a thousandfold error among friends? I'm sure its an honest error, but I can't help but feeling that in this age of plenty a million just doesn't sound the way it used to. A million words doesn't sound like much, but a billion! Ah, them's a lot of words. "If you wish to know what brand of tobacco Rashi used, ask Leopold Zunz. If you wish to know the interpretation of Rashi's writings, ask me." "The great historian of the Jewish past, Heinrich Graetz, got most of his facts right in his monumental work, History of the Jews. But his obvious bias against traditional Judaism and his almost obsessive hatred of the rabbis of Israel spawned a school of Jewish history that did great damage to the Jewish people. They may have known what color shirt Rashi wore, but they ignored what Rashi really stood for and his immortal contribution to Jewish survival and destiny." Paranthetically, and at the outset, it's worth pointing out that tobacco is native to North America and therefore the brand of tobacco Rashi smoked was none at all. This fact oddly and unwittingly illustrates R. Ettlinger's point in a way he probably didn't intend! But getting back to the matter at hand: Wissenschaft des Judentums, or חכמת ישראל, and its modern descendent, academic Jewish studies. R. Yitzchok Adlerstein posts today at Cross Currents about thoughts he had about the media coverage of the Gospel of Judas, one of many so-called Gnostic Gospels, which were texts of early Christian heresies. The Gospel of Judas, for example, presents Judas Iscariot as the most beloved disciple of Jesus who remained faithful to the end, "betraying" his master at his command. "I’m jealous. In the Jewish world, we often don’t react as calmly and sanely." 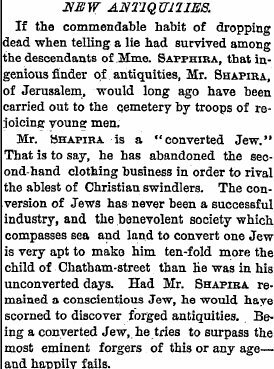 Unlike us Jews, who sold our birthright for a small price, by accepting the so-called scientific investigation of Judaism over tradition (that is, those of us who did and who do). The truth is there is a lot to be said for that point, even though the Gospel of Judas is roughly equivalent to a late Sadduccean document rather than a fragment from a book of J. There is also a lot to be said in defense of חכמת ישראל. Like most things, there is a lot more nuance to this subject than presenting it in terms of light and darkness, which does no justice to it. It is certainly true that Wissenschaft did violence to traditions. It's also true that many of its favorite sons had motives which one can disagree with, and that the movement spawned, directly and indirectly, plenty of crises for Jews and Judaism. But at the same time, it came about because of historical circumstances (there I go again!). There is a reason why it arose in the 19th century and not, say, the 14th. The case of David Levinsky illustrates the crucial point that Judaism in eastern Europe, as in Germany, tended to ignore everything that might be considered theology. Only the practices of Judaism were taught. One was brought up to observe the commandments, and, for this reasons, as soon as one came in touch with a kind of thought which questioned fundamentals, one was at a loss. In other words, it may be said Jews lost their faith so easily because they had no faith to lose: that is, they had no doctrine, no collection of dogmas to which they could cling and with which they could resist argument. All they had, surrounding them like armor, was a complete set of practices, each presumably as holy as the next (emph. mine). Whether this happened in America in the 1880s or another version of the same story in Altona in the 1780s or in Vilna in the 1920s, it is what happened. And in fact, the sentence I italicized in the above paragraph was a key element. מנהג ישראל תורה הוא may have been a rallying cry in response, but it was one that just illustrated how the two kinds of Jews couldn't communicate. 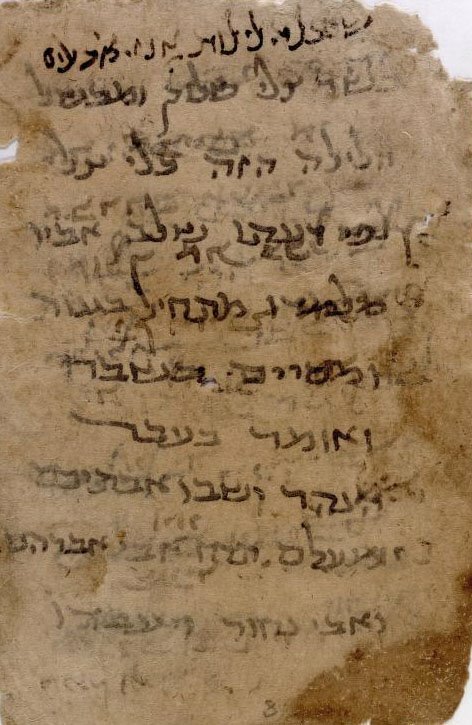 Here is worth repeating the reaction of Shadal to the news that Reformers in Germany had eliminated the second "יקום פורקן" from the liturgy: They fulfilled that which is written "וימח את כל היקום" (Gen. 7:23). 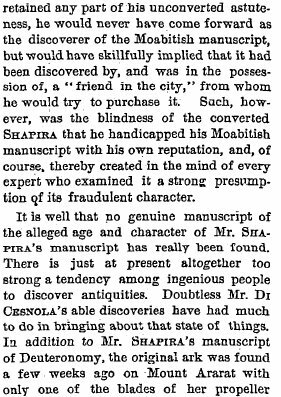 Shadal, ever the traditionalist--but the irony is that he was also very modern, and very much engaged in his own brand of the scientific investigation of Judaism. In fact, this is one area where the lack of clear lines comes to the fore: lots of talmidei chachamim with yirat shamayim engaged in Wissenschaft, including an original member of the Agudah's moetzes gedolei ha-Torah, R. David Zevi Hoffman. The question is, why? Is it just an evil way to approach religion? It is useless? Some of the people who would have applauded Shadal's witty remark would say just that, and that its forbidden also. But likely many of those people would have felt that way about some of his writings! There are no easy answers. The truth lies somewhere in the middle. אין הכי נמי, R. Adlerstein has a point. To have a healthy Judaism we shouldn't destroy it! But neither should we totally interdict modern methods of study and investigation. Like R. Meir, when we find a רמון then תוכו אכל קליפתו זרק (Chag. 15b). 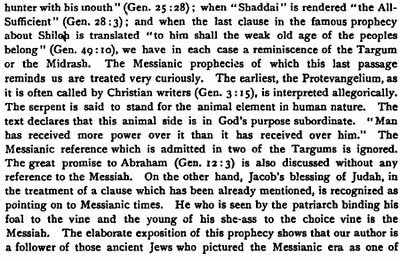 Its interesting to look at the mishnaic and talmudic sources which describe the seder. Here is one mishna in pereq arvei pesahim presented three ways. The first is in the mishna itself, the second is the version in Talmud Yerushalmi, with slight variation, and the third is the version in Talmlud Bavli which diverges more. It describes what the familiar custom of the Four Questions recited by children. Of particular interest is the 'question' that reads "שבכל הלילות אוכלין בשר צלי שלוק ומבושל והלילה הזה כולו צלי," "on all [other] nights we eat meat [whether it is] roasted, boiled or cooked [but] tonight only roasted." 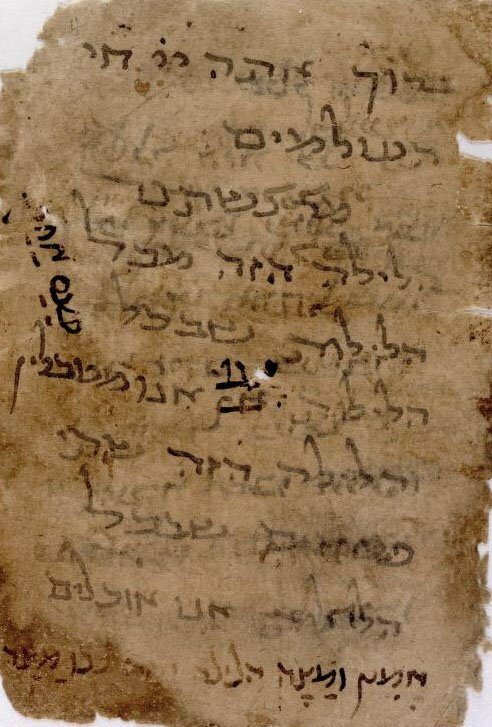 It seems highly probable that this text dates from the time of the Bet Ha-miqdash, given that it refers to the qorban pesah as something that "we" do. Naturally, our custom is to ask something else, namely "שבכל הלילות אנו אוכלין בין יושבין בין מסובין והלילה הזה כולנו מסובין" (as brought in the Rambam, for example). 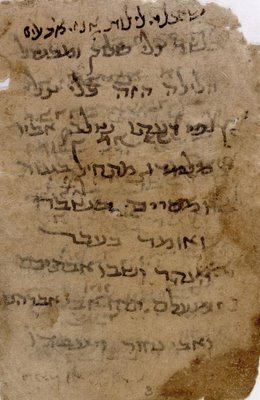 As you can see (or maybe not, as its hard to read) the version of the Mah Neshtana in this manuscript preserves the mishna's question, "שבכל הלילות אוכלין בשר צלי שלוק ומבושל והלילה הזה צלי." In addition, there are only three questions, מטבילין, מצה and צלי, omitting the familiar fourth, מרור. First, we need to know what this haggadah is and where its from. I really have no competence to offer an opinion about it, but the professional opinion is that it reflects "the Palestinian rite," given that there are other differences in this haggadah which can be found in the Talmud Yerushalmi versus the Bavli. 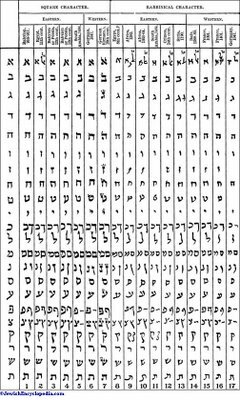 For example, it contains a ברכה called בורא מיני מעדנים, which is found in the Yerushalmi. A second fact (?) pointed out by scholars is that the haggadah was not written by a professional, and thus may reflect something of a "lay" or popular rite. Whatever the case may be, we will not be eating any בשר צלי come tomorrow night. May we have that זכות soon! To my friends: I likely won't get the chance to post 'til after the haj, so here is wishing everyone a חג כשר ושמח! edit: There is a lengthy article by Jay Rovner in JQR 90 (Mar./ Apr. 2000) called "An Early Passover Haggadah According to the Palestinian Rite," about this Haggadah. 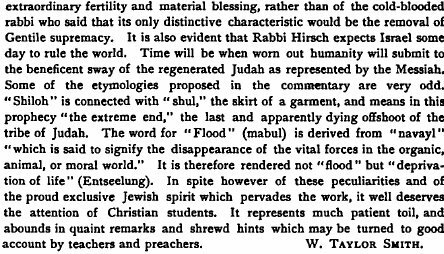 Here is a review of the Genesis volume of the original Hirsch Chumash by W. Taylor Smith which appeared in The Biblical World in October 1893. Happy Anniversary to On the Main Line! I had an anniversary this week. Although On the Main Line technically began in May of last year ( here is its first real post) I had a blog on another server called Gimme Shelter which was its precursor, which began on April 4, 2005 with this post. In fact, the original roots of that blog came on Shushan Purim of last year, when I was thinking about the phrase kimmu ve-kiblu ha-yehudim from Esther. So, I began, or rather registered, a blog called Kimmu Vekiblu that never got off the ground. Instead, I posted a couple of weeks later to Gimme Shelter. Then I moved and renamed, about a month later, and I repasted some of my posts from Gimme Shelter. So Happy Anniversaryish to On the Main Line! Readers of On the Main Line will know how much I love alphabets. 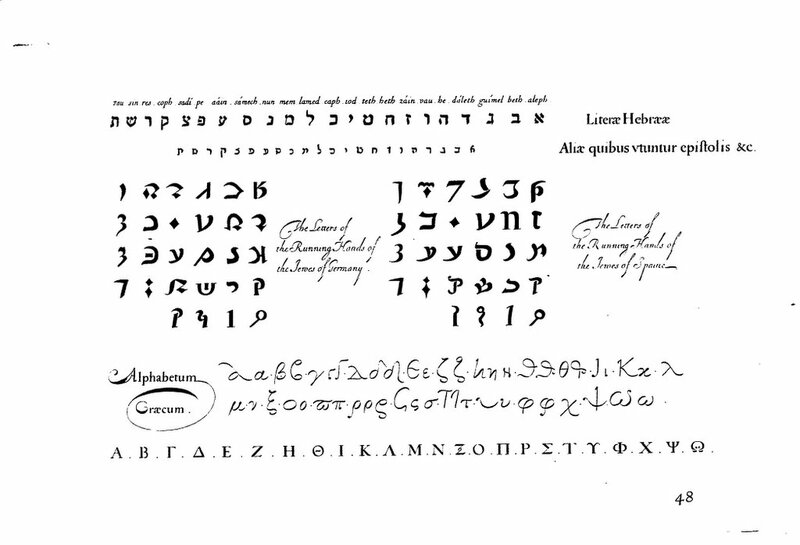 This one is from a book of fonts called A compendium of the usuall hands of England, Netherlands, France, Spaine, and Italie with the Hebrew, Samaritan, Caldaean, Syrian, AEgyptian, Arabic, Greek, Saxon, Gotick, Croatian, Slavonian, Muscouian, Armenian, Roman, Florentine, Venetian, Saracen, AEthiopian and Indian characters : with sundry figures of men, beasts and birds. Published in London in 1663, the fonts were devised by Richard Daniel and engraved by Edward Cocker, "philomath." Rayna Batya. The fascinating, and somewhat mythical wife of the Netziv. A lot of ink has been spilled about Rebbetzin Rayna Batya ever since the original ink was penned to paper about her in Mekor Baruch. But one thing that no one seems to notice is that there is something like zero chance that Rn. Rayna Batya was ever called Rayna BaTya in her life. 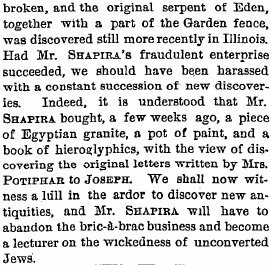 I've posted about the Shapira forgery (?) here and antisemitic coverage of it here. 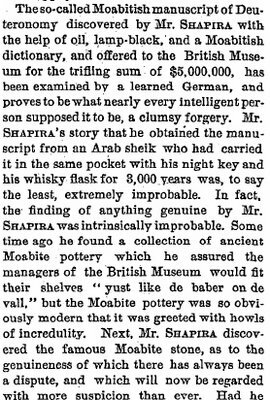 To add to the latter category, this article appeared in the New York Times on Aug 30, 1883, another article of record for the Newspaper of Record (yeah, yeah, I know it was 1883). I wanted to ask you about something that I believe I once saw somewhere online but I can't find now. 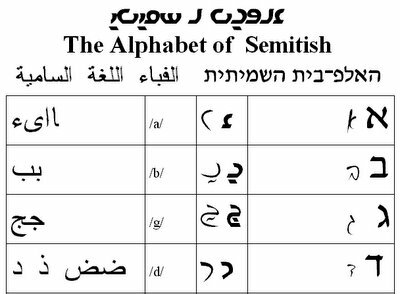 It pertains to a Hebrew and Arabic alphabet reform that someone was proposing, an odd combination of the two alphabets. Does that ring a bell? If so, I'd appreciate it if you could tell me who is behind this so I can look it up. Thanks! I was dan Abecedaria lekaf zechut, but she never replied to my email. But she did post about it and she did do the work for me! Meanwhile, here I am four months later first realizing that she found exactly what I was looking for. So thanks, Abecedaria. I'm not really sure what my point was anymore, but I'm sure I had a good post planned in November! When the first PhD dissertation is written on the Godol Hador blog, what do you think it will be called? 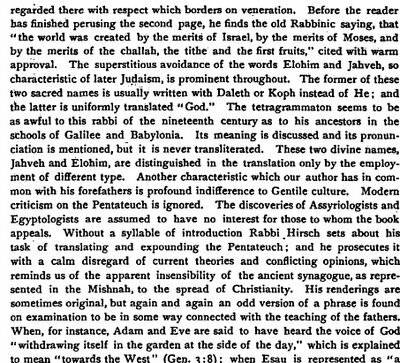 In my research for this blog I noticed something that I hadn't previously known: in English the prevalent tendency, by far, was to write "rabbins" as plural for "rabbi" up to, and including, well on into the 19th century. Why is that? I knew that in German a rabbi is a rabbiner. English is Germanic &c. But that hardly seems a satisfactory explanation. Given that, when did rabbins become rabbis? And why? And, of course, רב rav in Hebrew. Presumably every other language got its "rabbi" from references in the Christian scriptures, like Matthew 23. And the original language of said scriptures was Greek. In Greek the instances of "rabbi" were written as ραββι which can be written neatly in English as rabbi. Presumably the Hebrew word the writers of the Christian scriptures had in mind was not רב but רבי rabbee (י"א ribbee). But what are rabbins in English? Aha! But we had a secret: the word they were looking for was rabbeim or rabbanim. It's nice to know that the OED decided how rabbis are ranked!
. 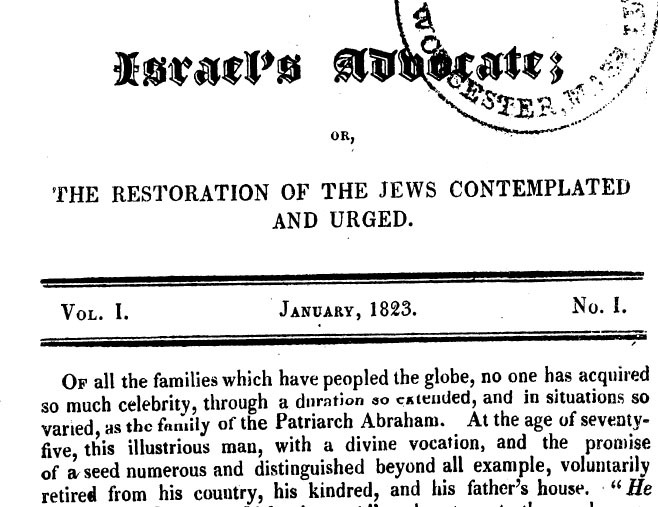 The Israel's Advocate in the subtitle refers to a publication called Israel's Advocate; or, The Restoration of the Jews Contemplated and Urged, published also in New York between 1823 and 1827. 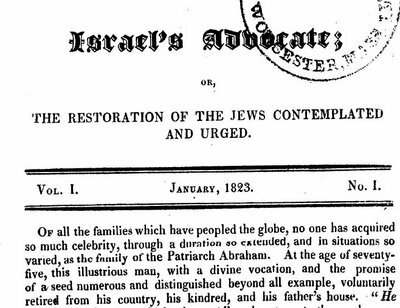 Jewish monthly whose avowed object finds expression in its subtitle as "being a defense of Judaism against all adversaries, and particularly against the insidious attacks of Israel's advocate." It was published in New York city and edited by Solomon H. Jackson from March 1, 1823, to March 1, 1825. 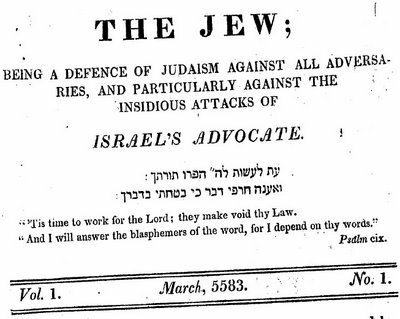 "The Jew" was the first Jewish periodical published in the United States, and was aimed against Christian conversionists. It goes on to continue, saying that just as Christian missionaries to the Jews felt that they had a right to go on the attack, as he puts it, Jews are entitled to a defense. The author appeals to equal rights, as a good American would. 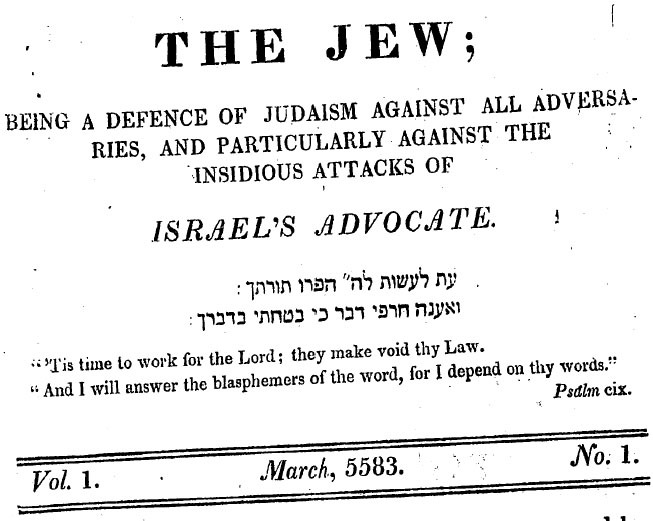 The author also seeks to establish, for the benefit of cautious Jews, that this publication is not intemperate, citing examples of "the martyr Isaac Orobio, whose crown of martyrdom proves his victory. Rabbi Isaac, the son of Abraham; Rabbi Lipman; David Levy, and Mr. Nicklesburger; of these five worthies, but one met danger, and that was personal only; two wrote in Hebrew, and the two last in English, in England, without damage or danger either to themselves or our community. It is paying a poor compliment to Americans, to suppose them less enlightened than Englishmen." Throughout this publication (which ran for two years) one will only find "......ians" and "......ianity" mentioned. There's an Italian expression, traduttore, traditore, or translator, traitor. The delicious thing about this proverb is that when rendered in another language, such as English, the very point is illustrated! It is true that in English these two Italian words begin with the tr sound. But there is no mistaking that the pun the expression makes use of through soundalike words is lost. Translator, traitor just doesn't capture the crispiness of traduttore, traditore. I came across a particularly egregious translator-traitor error as follows. 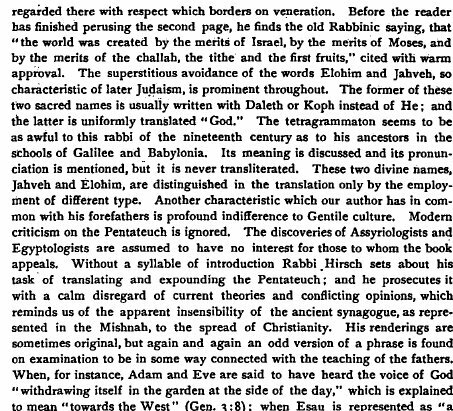 In 1867 C. D. Ginsburg published an important English language book on the masorah מסורת, which contained Hebrew versions with English translation and notes on יעקב בן חיים ן' אדוניהו's introduction to the original Bomberg edition of the מקראות גדולות, "Jacob Ben Chajim Ibn Adonijah's Introduction To the Rabbinic Bible" and the same for the important masoretic work מסורת המסורת of ר' אליהו הבחור, "The Massoreth Ha-Massoreth of Elias Levita", (reprinted w. intro. by Norman H. Snaith by Ktav in 1968). We shouldn't let the word "ghost" throw us off. Ginsburg was rendering this Christian concept into the terminology of 19th century British English. But it is hardly a better translation if he had written "spirit" instead. Immediately it should be obvious that יעקב בן חיים ן' אדוניהו did not have in mind the Holy Ghost when he wrote those words (yes, he did later convert to Christianity). In addition, there was no cause to capitalize those words, because whatever the Jewish concept of רוח הקדש is, it isn't a proper noun. The worst mistake a translator can make is to insert him or herself into a text, as Ginsburg did here.